When it comes to aisle shots, we expect to see an eager groom awaiting the appearance of his happy bride. 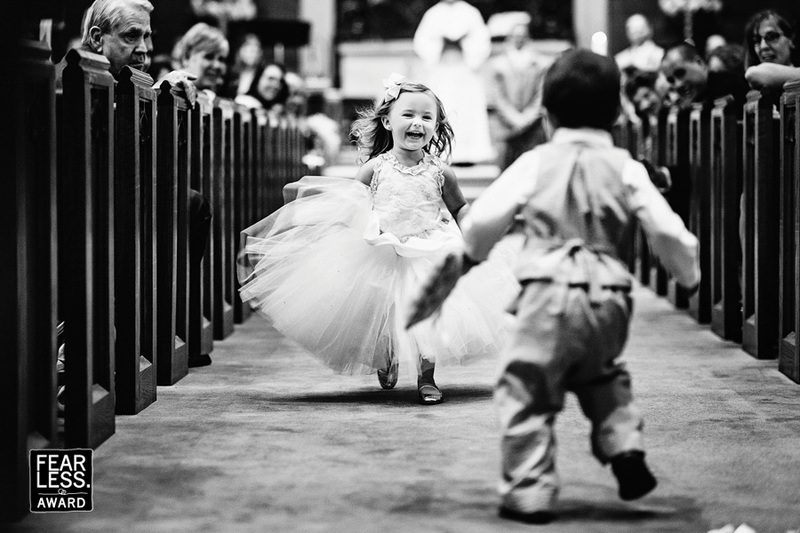 These two are a bit young for vows, but they seem just as excited to see each other as any bride and groom could be. The photographer got down to kid level to show us the moment from their perspective (and framed the photo to include the marveling faces of the adult onlookers).